We are excited to announce that the folks at Sierra Club Green Home have recently joined our Say No To Plastic Bags Coalition in an effort to help us raise awareness to the issues of plastic pollution. They are one of over 40 great organizations who are supporting our efforts and we are so glad to have them aboard. We wish to thank all of our coalition supporters, and everyone else who is helping us get the word out. BTW – Sierra Club Green Home is starting its Energy Efficiency First Campaign, where their goal is to reduce the carbon footprint of 1,000 homes by 2012 – one home energy assessment at a time. They are offering free full home energy assessments to the first five people who sign up through their campaign in Orlando, FL; Denver, CO; Boulder, CO; Albany, NY; Atlanta, GA; and Sacramento, CA. If you or anyone you know is interested in receiving a free home energy assessment in those areas, call 888-SCGH-COM or contact Heather Logan at hlogan@scgh.com directly and she will gladly help you out. There are many ways to live a sustainable, environmentally friendly lifestyle from purchasing reusable items and recycling to using CFL light bulbs or biking to work. But when it comes to your home, do you know the most efficient ways to live sustainably and comfortably at the same time? The best way to determine steps in which one can improve your home’s energy efficiency and performance is to conduct an energy audit. Energy audits use a smart, scientific approach to determine areas of your home that can be improved so that less energy is used and more is conserved. What does this mean for you, the homeowner? Lower energy bills, more comfortable living, and greater overall savings for the operation of your family’s home. 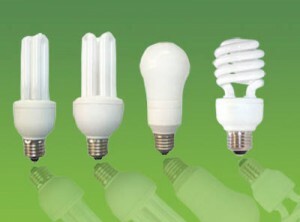 Sierra Club Green Home is proud to announce their brand new Energy Audit First Campaign! As part of their campaign, which is designed to help lower the carbon footprint of 1,000 American homes within 60 days, they are offering you this Home Energy Audit at a dramatically reduced rate of only $50, or, FREE for the first 5 people to sign up (in each of the listed cities)if you can provide us with background information on your power and gas usage for our database. All you need to provide is 12 months of electricity bills prior to the date of the Energy Assessment to receive the free audit. In your home analysis, their BPI accredited professional will study the systems in your home, how these systems function on their own, and how they contribute to your whole house comfort and energy efficiency. 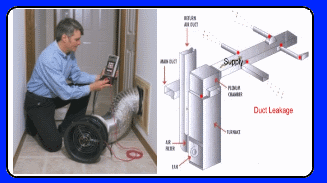 They will test your home’s air and duct sealing, insulation levels, and more. They also evaluate your home’s energy consumption and heating and cooling efficiency. They will perform CO2 tests, and use Infrared technology to determine if the house has energy leaks, specifically spotting drafty areas through windows and doors and there’s a blow door blaster test included. They will finish the Energy Assessment with a thorough report on what they recommend and will educate you, the homeowner, on what government incentives, rebates, and tax breaks exist in your area! If you decide upon ANY upgrades recommended and installed by our SCGH Energy Audit First professional, they will guarantee their performance, energy usage reduction, and thus money savings.